I'm building my first greenhouse to grow chill peppers from all over the world, along with tomatoes, strawberries, and various herbs. 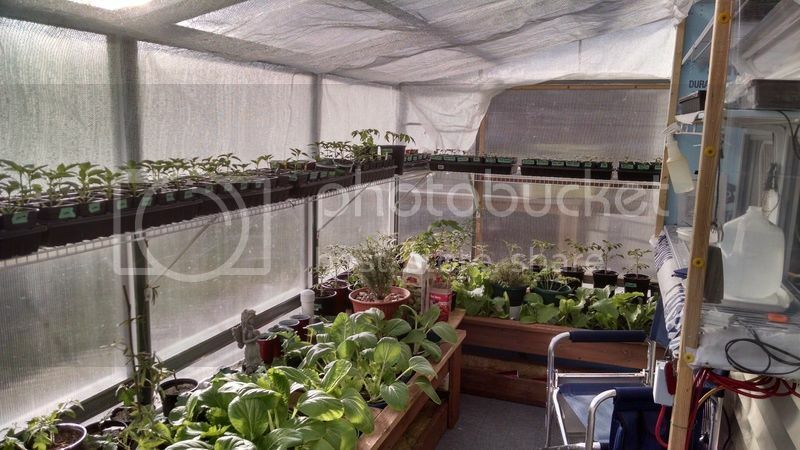 My greenhouse will have a foot print of 126 square feet, and a volume of 954 cubic feet. I am planning on taking some old PC fans, 5 of them at .5 watts each and hooking them up to a small solar panel so that the fans would just kick on durring the day and off at night. If it's cloudy they just run slower. I live in climate zone 10 on the California coast. It rarely gets over 80F or below 40F. The average is about 60F. Would the ventilation be adequate? Would it be too much? 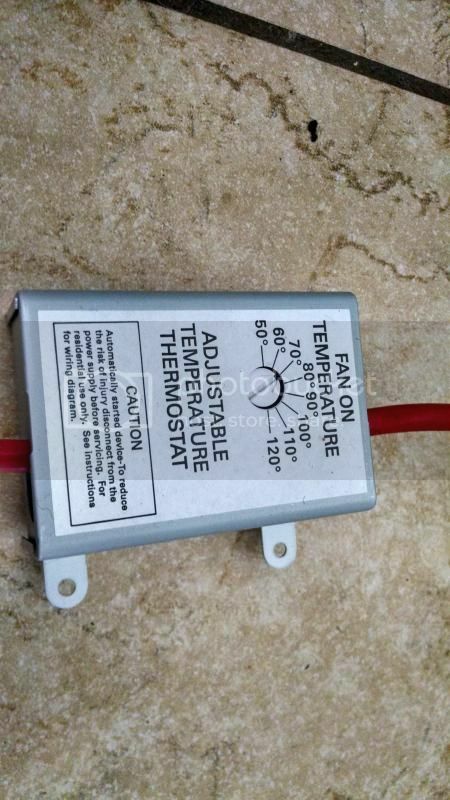 Should I use a thermostat and or humidity controls? I plan to use air filters to keep as many pests out as possible. I think your fans will be too small. Inside a greenhouse it gets really hot especially in the middle of the day and especially if you do not have a roof vent. there is a formula to calculate how many and what size fans you need for the size of your greenhouse. My lean-to GH will gain 40 to 50f on sunny days. I use a combination of shade cloth and open each end for air flow. There are solar/wax based vents that open and close at different temps. They are just arms that you attach to your windows/vents. Most GH suppliers carry them and ebay has them. I can barely keep mine 10 deg above ambient temp on a sunny hot day with a big fan. I leave both ends open when we have 60-80 deg nights/days. The bugs are going to get in no matter what. You just need to keep a constant look out for aphids and smash them before the get established. They will come from store bought plants, plants/cuttings brought in from your outside gardens and the ants will actually bring them in to farm them. An occasional moth will get in and leave you some caterpillars. You learn how to track them down. Mites can be a problem but I have never had to deal with them. Here is a couple pics. You can see the shade cloth which is retractable. The back 4x4 pane comes off. The entrance is an old shower door (5x5) and the doors pop out easily. Mine is connected to the house so I exchange air via window fan to control temps which helps. It is also 10 feet up on the deck which lowers the bug count. When it gets above 80 I bring out the big fan. Both fans are hook to a attic fan thermostat to turn them on/off. Thanks for the pics and great info! I had no idea that the temps would climb that fast. I'll definately step up the ventilation plan after learning that. The materials you use and if you have louvered windows that you can open (with screens on the insides) on the bottom can be a passive way to let more air in in warmer months. It still works better if they flow through or you have your windows on opposite sides and a vent on the top for the warm air to escape. When windows are on one side and the other side is a solid wall the air cannot be pulled through as efficiently. Bugs still get in the hot house. Every once in a while you will have to do a thorough sanitizing of the shelves, floor and walls. Unfortunately once the bugs get in, they are safe from predators too unless you capture and release the predators in the green house. the better fans are attached to the outside wall with louvers and they pull the hot air out or reverse and pull outside air in. Fans inside the hothouse move air inside but cannot cool. Try looking at solar panels to operate the fan. One solar panel can usually operate one fan. That is how the fans are operated at my working place. We also have the double entry although people still don't get it that the purpose of the double entry is that the two doors should not be open at the same time or left open. This is the type of fans that my boss recently installed on the new hydro houses and they are operated by solar panels. Actually the farm uses very little electricity in the daylight hours and has a lot of experiments with solar and wind power. There is a windmill operated aerator. Pavillions with solar roofs operate the pumps for the aquaponic tanks pumping water from the fish holding tanks to the growing beds and from the hydro tanks to the rails in the hydro houses. The pumps turn off at night but still actually keep running even on an overcast day. There is electrical backup for times when the garden has night activities. The hydro needs to switch to electrical power at night but the fans don't need to be running and grow beds can tolerant no flow at night and the main pumps circulating pumps and aerators in the fish tanks also have backup electrical power at night. Workers who work for the power company get their electricity free as part of their benefit package. My grandfather was a retired electrician and that was the deal he got. I have a 9' by 20' sunshed with an insulated roof and north wall. The entire sloping south wall and half of the east and west walls are covered with UV-resistant plastic film. I was just looking back at something I wrote a few years ago. That April afternoon the high was 45Â°f and there were wind gusts to 53mph. I was having problems that day because I didn't want much of that 45Â° air, indoors. 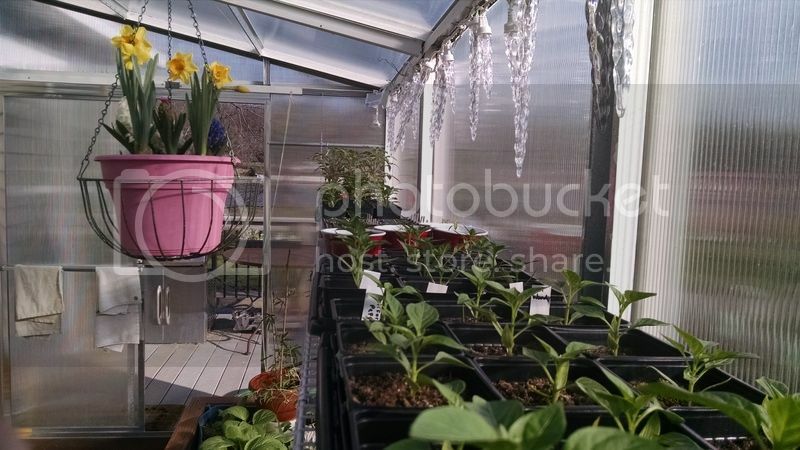 Nevertheless, I had to have vents open at both ends of the greenhouse because there was so much sunshine. I was congratulating myself for keeping the temperature in there in the low-80's. digitS' wrote: I have a 9' by 20' sunshed with an insulated roof and north wall. The entire sloping south wall and half of the east and west walls are covered with UV-resistant plastic film. How's come you never show a pic of your GH? You are fibbing unless there are pics lol. I would love to see pics of it and how it is set up. Maybe, I'm a little shy . There is a large bench right down the middle of it. A low shelf sits right below the plastic film on the south side. Then there is a high shelf above the big bench. I can also put plants under that bench but it's fairly shady. The NG furnace is like some people have in their garages. It is suspended above the door and just inside. That vent can be opened and the furnace has a heating/cooling thermostat so its fan can pull air in through the vent. An exhaust fan is in the east wall. For many spring afternoons, the door is just propped open. Cool!.. show me the inside when you get a chance. Is it board and batten or vertical lap? The rustic appearance makes it happen for me. It needs and old door to match...lol. Which way does it face to get light to the plants on the backside? It really catches the sun. Altho' I've forgotten the angle of the south wall, I talked over the design with engineers at the local utility before building it. The interior of the north wall is insulation board with reflective foil. It is great during the early weeks when the sun is still low on the southern horizon. Yes, it's just a garage door. The interior is very difficult to photograph because the center bench is in the way. You come in that door and it's right there. Step left or right to continue on path along back wall or the path under that plastic to reach the far end. Often, there are lots of plants to squeeze past. Board and batten - they are 1 by 4, fence boards . Thank you for all the great info!! You guys have helped my plan more than you know. I will post progress pics once I've got the greenhouse built.